Bauxite is an aluminum-rich minerals, chemical or biochemical rock. The main mineral component is diaspore , boehmite, gibbsite. Alumina silicate minerals are weathering after intense heat. It will produce dissolved alumina, , moving into the sea from the lake basin sediments. Because bauxite is mainly used in the refractory industry, which usually refers to calcined bauxite Al2O3> = 48%, so the following bauxite powder production and processing technology has become the mainstream market. 2. 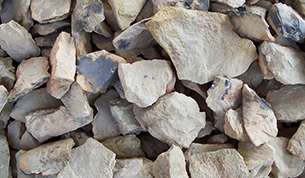 After being crushed by small jaw crusher, or hammer crusher, calcined bauxite will be fed into the mill. 3. 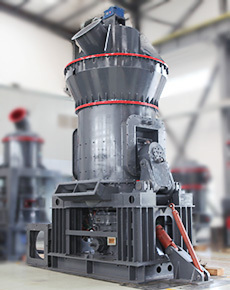 After the crushed material enter the mill production systems, entire milling, separating and other operations processes are finished inside the mill automatically. The operating workers should take close notice on Electrical cabinet meter data. 4. Qualified bauxite powder will discharge via the discharge valve, then packing into bags. 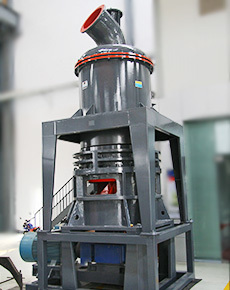 This mill is widely applied to the mineral products into powder in different industries, such as metallurgy, building materials, chemical industry, mining, etc. It has been widely applied in paint, paper making, pigment, rubber, plastic, padding, cosmetic, chemical supplies, etc. Alumina and bauxite production is increasing in global market. The research analysis shows that Australia has become the world’s largest producer of bauxite. In 2011, annual output has reached 70 million tons, while alumina production in Asian countries including China, Indonesia, India also get gradually increase, accounting for 45% of global supply, 10 years ago, it is only 16%. Domestic demand is pushing China bauxite manufacturers to look for foreign ore, or in the form of a joint venture or acquisition bauxite open up foreign markets, such as Australia, Guinea, Ghana, Indonesia and Fiji and other countries. Aluminum smelting industry. Use for defense, aerospace, automotive, electrical, chemical, daily necessities and so on. Precise casting. Bauxite is processed into fine powder. Then after molding, do the casting. It is mainly used for military, aerospace, communications, instrumentation, machinery and medical equipment sectors. Refractory products. The fire resistance temperature of bauxite chamotte is up to 1780 ℃, with chemical stability and good physical properties. Aluminium silicate refractory fibers. It has light weight, high temperature, good thermal stability, low thermal conductivity, heat capacity of small and resistance to mechanical vibration and so on. It is mainly used for iron and steel, non-ferrous metallurgy, electronics, petroleum, chemical, aerospace, nuclear, defense, and other industries. Put the high alumina clinker into the 2000 ~ 2200 ℃ high-temperature electric arc furnace. After high temperature melting, high pressure high velocity air or steam injection, cooling, it becomes a white “cotton” – aluminum refractory fibers. It can be pressed into fiber blanket, plate or woven into cloth instead of refining, chemicals, glass and other industrial high-temperature furnace lined with refractory bricks. Firefighters available refractory fiber cloth made clothes. Take magnesia and bauxite as raw material, adding an appropriate binder, it has very good performance for pouring the whole bucket ladle lining. Various compounds used for making cement, grinding material, ceramic industry and chemical industry.